It looks as if Russia has found someone to take Sea Launch off its hands. Russia’s space agency Roscosmos has found a buyer for a troubled commercial space project known as Sea Launch, the agency’s director Igor Komarov was cited by the TASS news agency as saying on Wednesday. “I cannot tell you who the investor is, or the value of the contract, due to certain obligations. I hope that we will have something to say about it by the end of April,” Komarov said. He did, however, say that investors from the U.S., Australia, China and Europe have expressed interest in the project. The troubled company, which uses a floating platform to launch communications satellite aboard Zenit boosters from the equator, has been on the market for several years. It is majority owned by RSC Energia. 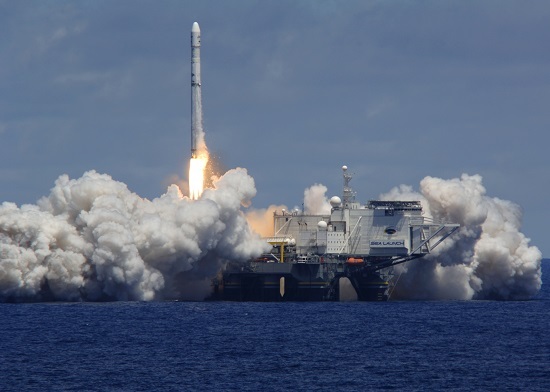 Sea Launch’s last launch was in May 2014. The company has been troubled by launch failures and an inability to secure a significant percentage of the global launch market.